Any cafe that serves coffee in bowls and gives blankets to outside diners is a winner in our books. This is a cafe with a sophisticated menu at reasonable prices and Sydney seems to know. The place was bustling when we arrived at 10am and we had to wait a short while for a table. Inside we glimpsed baguettes, french toast with beautifuuly poached fruit and diligent floor staff taking and filling orders. We were given menus while we waited but we were too preoccupied watching the hive of activity to read it properly. 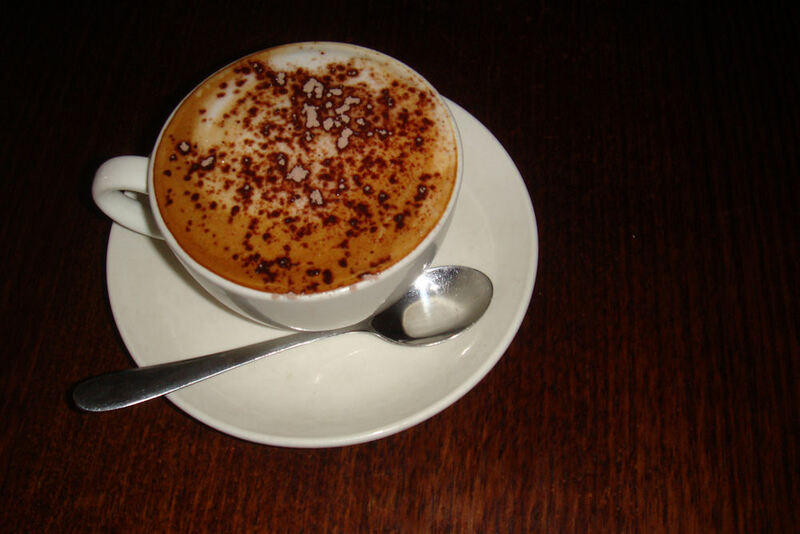 It wasn’t long before we were seated inside (it would be a considerably longer wait for a table outside) and coffees came our way. We ordered the Skim cappuccino($3.20) and Large Coffee/Bowl ($4.00). 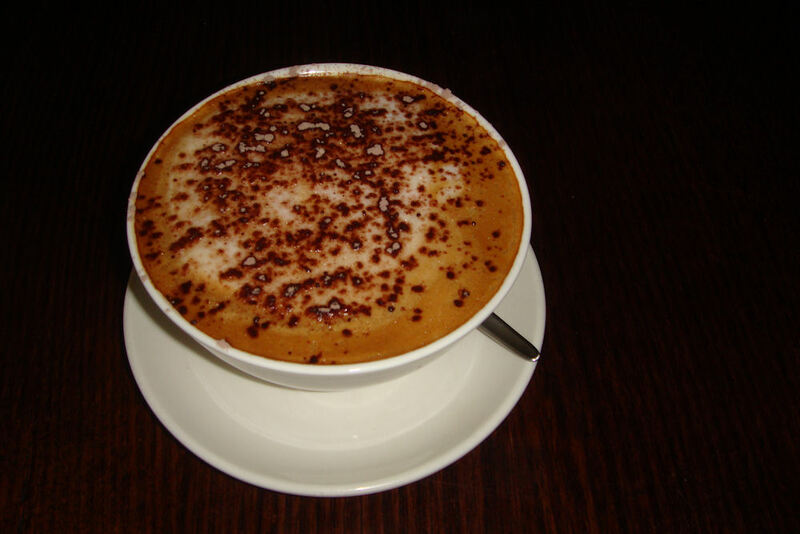 While we both enjoyed our coffees, our guest preferred her skim cappuccino ordered the week before at Toast Cafe, Surry Hills. The bowl of coffee on the other hand was a huge success and April gazed dreamily into her chocolaty froth for an extended period of time. 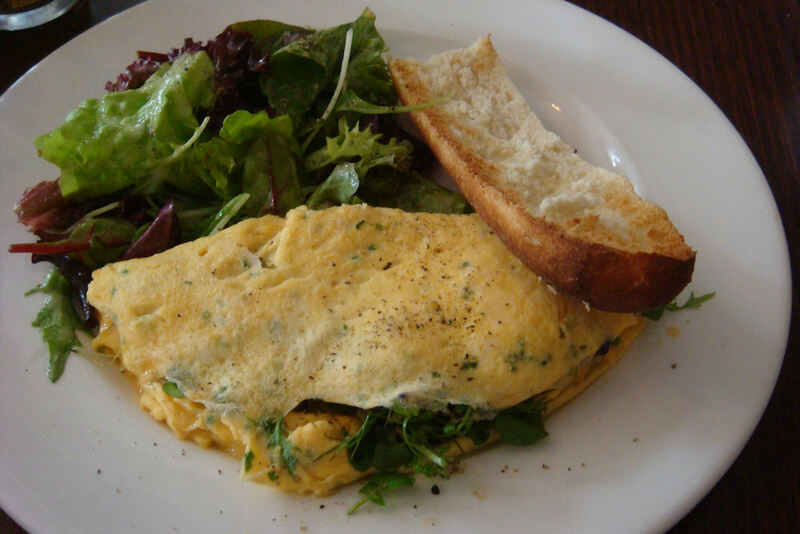 We were blown away by the gorgeous mixed herb omelette ($12.00). It was a light and delicate dish. The herbs and salad leaves folded inside the omelette were fresh, colourful and well chosen. This was served with a light salad with vinaigrette and a fresh baguette. We dreamed of eating this dish on a warm spring day in the French countryside (not on a rainy winter’s day in suburban Sydney). 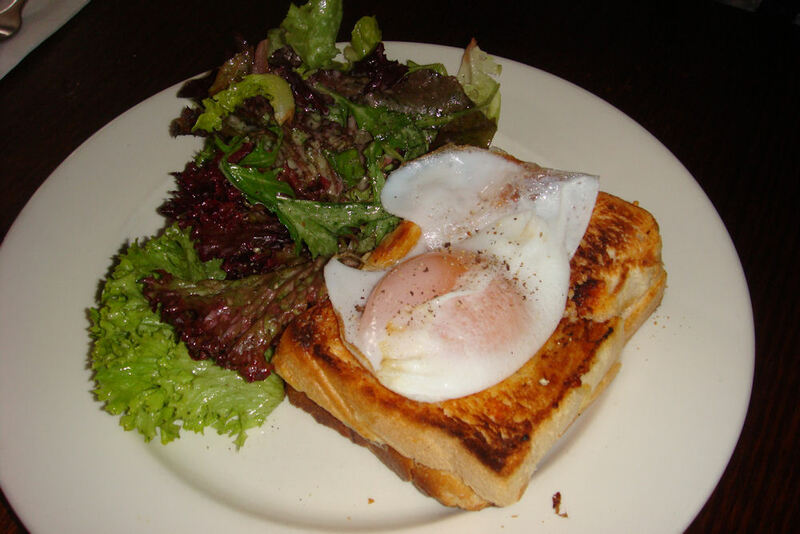 The Croque Madame with Fried Duck Egg (ham, cheese and duck egg on toasted brioche) ($12.50) also received rave reviews. While initially unsure about the flavour of a duck egg, our guest was happy with the reproduction of a classic dish. The egg yolk flowed out gently when cut with a knife and was mopped up with the thick slices of brioche. The salad helped balance the richness of the dish. 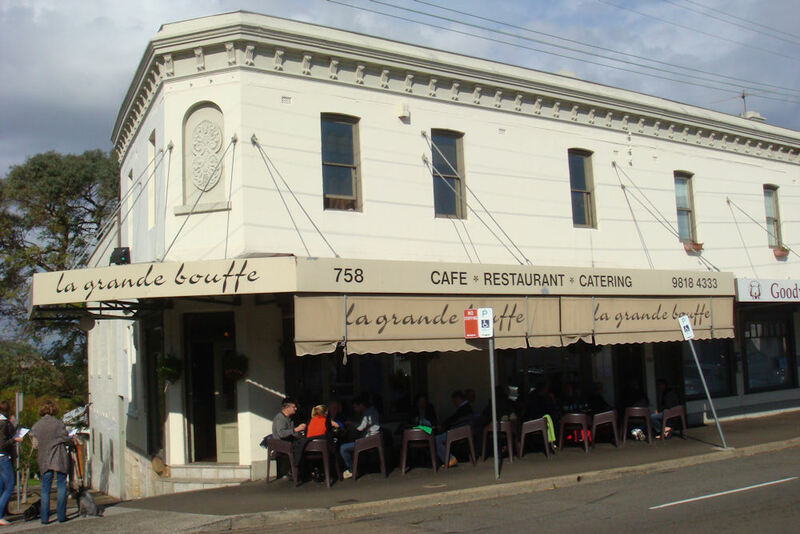 One drawback of La Grande Bouffe was the speed of the service. It took the staff longer than we expected to seat us and then they were scarce throughout much of our meal. At the beginning we noticed that they were playing loud music with a fast tempo. This made it hard for us to hear each other (combined with the chatter from other tables) and detracted from the atmosphere. We noted this to one of the staff and they were kind enough to change it for us. We recommend getting to this cafe early to secure an outdoor seat. It’s fun to watch the array of people going by and it’s also much quieter. If you have time, stroll down to the walking track in Rozelle which is part of the ‘Bay Run’. If you’re feeling more lethargic the Rozelle Markets make for a fun afternoon with an array of second hand goods, plants and other surprises.